An ever changing, highly competitive global landscape necessitates the development of a strong, customer responsive world-class company empowered by its vision, values and vitality. 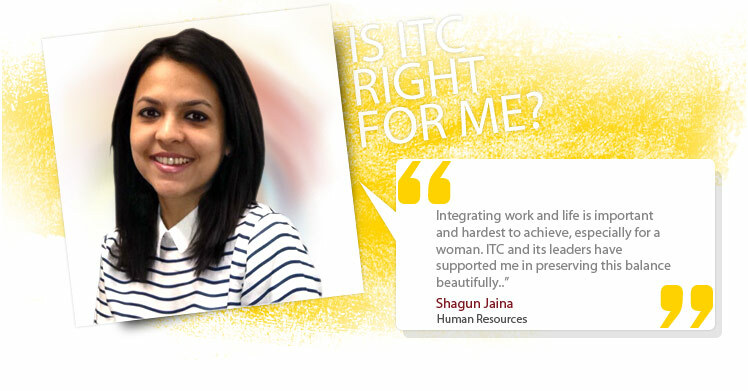 ITC has consistently fostered a culture that rewards continuous learning, collaboration and development across the organisation to be future-ready and to meet the challenges posed by ever- changing market realities. ITC's Learning & Development vision reinforces this agenda by seeking to build ITC's talent and leadership pipeline and enhance organisational capability to compete, win in the marketplace and create enduring value for our stakeholders and society. ITC's Learning & Development initiatives include core programmes straddling various dimensions of Leadership, Capability Enhancement and Skill(s) Development along with customised programmes that address diverse capability-building needs at various levels of the organisation. These programmes cover not just functional competencies but behavioural inputs as well, to ensure comprehensive development of our human resources. Focused programmes aimed at ensuring meaningful induction of talent into the organisation, initiatives to address current and future capability requirements of the organisation, platforms to understand what the future holds for us in terms of technology and process advancement and development inputs to enhance managerial and leadership capability of our resources are the mainstay of our Learning & Development agenda.